On Tuesday, Marc Stein of the New York Times reported the Sixers "commissioned a clandestine run" at Myers, the Warriors' president of basketball operations, but couldn't lure him away from the NBA's current gold standard organization. Philly, which Stein previously noted also made a run at Houston Rockets general manager Daryl Morey, ended up promoting former NBA center Elton Brand to fill the void in September 2018. Brand endured a busy first season in the role, highlighted by a blockbuster trade to acquire Jimmy Butler from the Minnesota Timberwolves in November. He also made a deal for Tobias Harris, Boban Marjanovic and Mike Scott with the Los Angeles Clippers shortly before February's trade deadline. 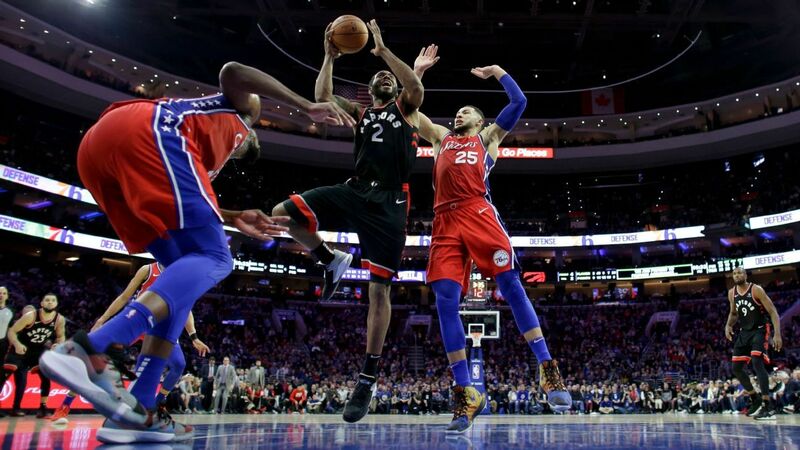 The 76ers finished the regular season with a 51-31 record to secure the third seed in the Eastern Conference playoffs. With an extended rebuilding process finally completed, however, the team's success will now be judged on how far the team goes in the postseason, not just reaching it. "We believe we are in position to contend now and our moves reflect that belief," Brand told reporters in February. Meanwhile, it's no surprise Myers has opted to remain in Golden State given the team's star-studded roster and recent run of success, including three NBA titles in the past four years. The Warriors' offseason addition of DeMarcus Cousins, who suffered a torn left quadriceps muscle Monday night that'll likely end his playoff run, showed the benefits of having sustained success. Veteran players are often willing to take less money to chase a championship. Myers will face tougher challenges this offseason with Kevin Durant, Klay Thompson and Cousins all potential unrestricted free agents, making it a summer that could make or break the Dubs' run of dominance.